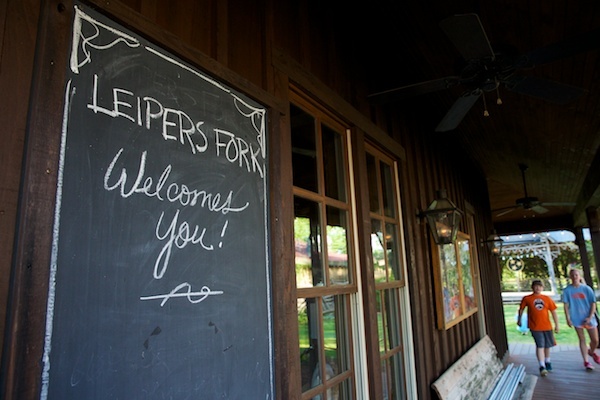 Driving into Leiper’s Fork is an experience in itself. This feeling, according to resident Aubrey Preston, was intentional. Driving into Leiper’s Fork is an experience in itself. Escaping the stagnating traffic of Green Hills and turning onto Old Hillsboro Road, the country seems to open up; the narrow road winds past Federal-style farmhouses, cows clustered under the shade and tractors turning up dirt. A replica of Barney Fife’s Police Car provokes a touch of nostalgia, and sits on the side of the road as a kind of welcome sign. Finally, the road spills out into a quaint town center where a healthy buzz of residents and tourists patronize the locally owned restaurants and craft stores. There is space and a sense of calmness palpable in the air. This feeling, according to resident Aubrey Preston, was intentional. “The road in is the preservation gateway, and the holy grail of the town,” said Preston, who moved to Leiper’s Fork in 1991. He and his wife Michele still live there. 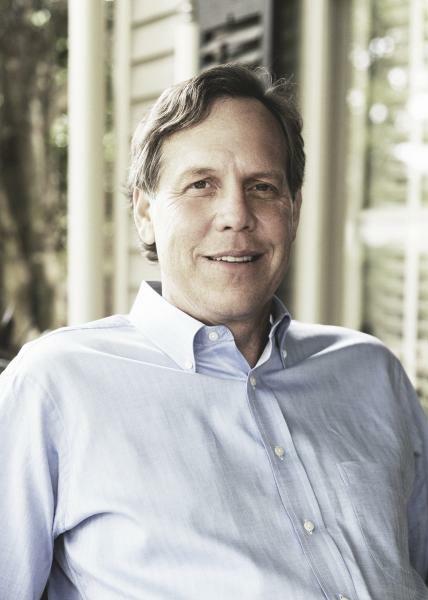 Preston is considered one of the preservation architects of Leiper’s Fork. He speaks about property lines, flood plains and issues facing the town with an almost philosophical certainty. Standing in the lunch hour rush at Country Boy Restaurant, he is greeted in high esteem. And there’s good reason for it. Not only did he help shape the future of Leiper’s Fork, he also chose a six hundred-song playlist for the restaurant. It all started in the early ’90s when Preston first came upon Leiper’s Fork. It was a ghost town. There was no post office, mostly off road access and one lone stop sign. There was, however, infinite potential. “It was like playing monopoly. We just started buying up all the land,” he said. Working with longtime residents Marty and Bruce Hunt, Preston began persuading friends from all over to invest in Leiper’s Fork. The idea was to have a concentration of like minded individuals build a sense of community within the town. Business entrepreneurs, county singers, actors, health care professionals – the list goes on – all started to flock to the small, unincorporated town. Still, with the influx of new residents and in turn new businesses, there was a dangerous potential for over-development. As a result, in 2000 Preston and his mother Cora Preston became the first property owners to conserve their 381 acres through The Land Trust for Tennessee. The Land Trust is an accredited not-for-profit that works with communities and landowners to protect open spaces. The trust allows property owners to keep ownership of the land while preserving the natural beauty through customized restrictions. “It’s for people looking to leave something behind for future generations. Although I realize some are not in a position to do it. I was just blessed to be able to,” Preston said. “People just assume the farm across the street will always be there, and then one day, often with no notice, there are bulldozers knocking down the trees down. It’s then you realize how strong your emotional tie to the landscape is. Preston’s passion for the land dates back to his childhood in Bradley County, Tenn. He recalls long summer days playing outside in the creeks, riding horses and hanging around friend’s farms. It’s an experience he does not want to rob his children and grandchildren from having. His job in healthcare real estate took him around the country where he witnessed first hand towns fall from a paradise to a culture desert as a result of over-industrialization. A seminal experience occurred when visiting the Mesa Verde cliff dwellings in southwestern Colorado. It shaped his thinking, he said. The cliff dwellings are some of the most notable and best-preserved ruins in the United States dating back to the late 1190s. However, increased population and climate issues including drought placed the community under incredible stress. By 1300, the Ancestral Puebloans were forced to abandon the town. Preston, a successful businessman, believes in the importance of preservation and business working together. He then recounts the story of how Tennessee officials brought Nissan Chairman Carlos Ghosn to Leiper’s Fork in an attempt to win over the bid for a new Nissan headquarters in Franklin. A desirable place to live, powered by a low business tax rates, won over Ghosn. Nissan built its new headquarters in 2008 and now provides almost 14,000 jobs for Middle Tennesseans. The preservationists of Leiper’s Fork were truly put to the test with the construction of State Route 840, which began in the early 1990s. The highway forms a 78-mile southern bypass of Nashville creating enhanced connectivity between Lebanon, Murfreesboro, Franklin and Dickson. The roadway also features many off-ramp exits with the intention to build new towns as Nashville expands. One such exit was planned in Leiper’s Fork. Residents banded together into a unified grassroots movement and took the Tennessee Department of Transportation to court, which involved a heavily complex and heated trial. Essentially, the residents claimed TDOT did not conduct a proper environmental impact study. On one occasion, Judge Russ Heldman issued a court ordered field trip over the SR 840 terrain. According to a TDOT agent’s environmental report, the proposed SR 840 route would affect no creeks or steams. After nearly 10 years of frustration and uncertainty, Preston and his neighbors finally heard the news: Heldman ruled in favor of the SR 840 opponents. TDOT was ordered to re-evaluate their impact study, and consequently an exit in Leiper’s Fork was prohibited. Preston has remained extremely active in Williamson County. He played a major role in the restoration of the Franklin Theatre, works with the Williamson County Convention and Visitors Bureau and recently organized the 10-day Americana Experience music festival. The idea is to keep the area culturally rich. He likens the construction of expanding highway loops around a city center as a suffocating model. Through land trusts and fighting the SR 840 exit, the town of Leiper’s Fork has effectively created a dimple in the mushrooming expansion of Nashville. However, Preston is extremely optimistic about the future and the actions taken by various preservation groups in spite of the construction happening all around him. “I know things won’t be the same, but we have to age gracefully. That involves having to let go of certain things, but the key is to evolve intelligently and affect change positively,” he said. Williamson County now boasts the highest concentration of conservation easements in Tennessee. A total of 46 properties totaling 6,122 acres are protected by land trusts. Nine of those properties amounting to 1,524 aces are located in Leiper’s Fork. That land won’t change. “We just wanted to leave the land a better place for the next folks. It all started with a small group of nutty people,” Preston said.